Superdry men's Vintage Logo tri colour lite hoodie. This lightweight overhead hoodie features a drawstring adjustable hood, a large pouch pocket and ribbed cuffs and hem. 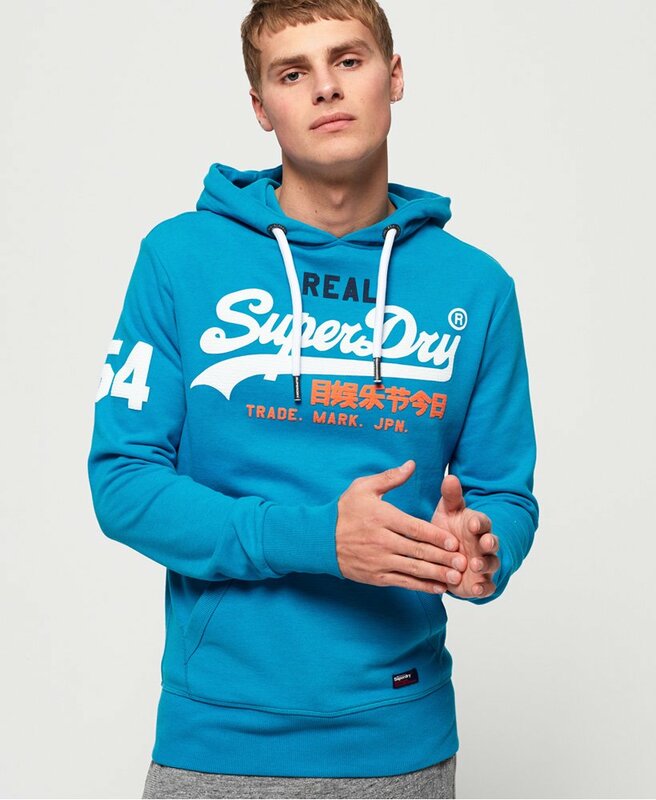 This hoodie also features a rubberised Superdry logo across the chest and a number graphic on one sleeve. Finished with a Superdry logo badge on the pocket.